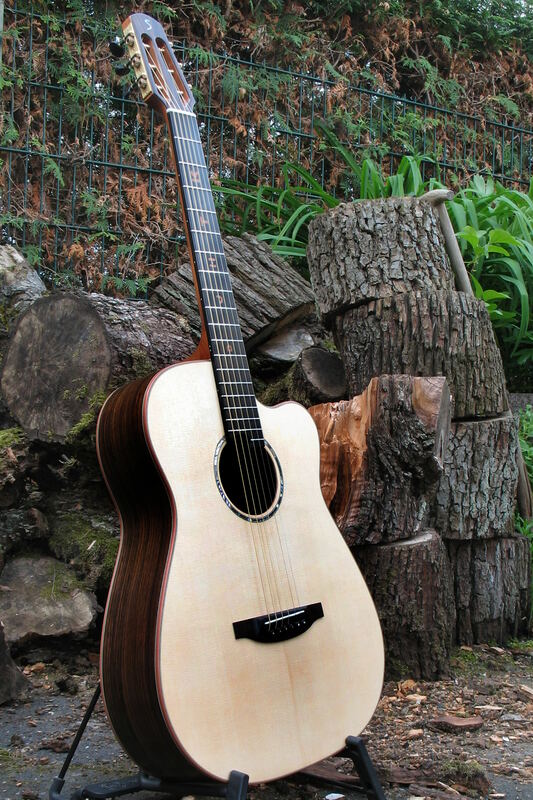 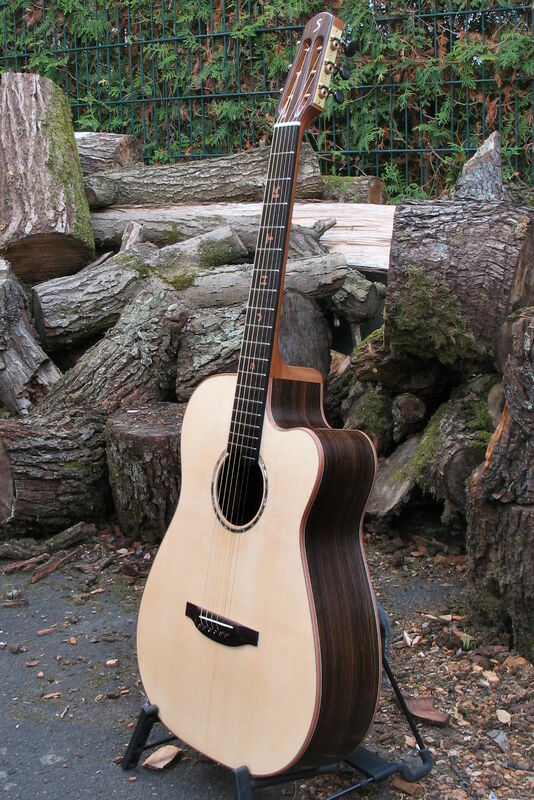 As requested by our customer, we have given this Ambition Fingerstyle an individual look. 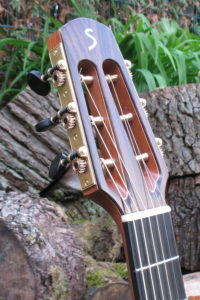 It features a cutaway and first class machine heads hand made by Klaus Scheller with ebony buttons. 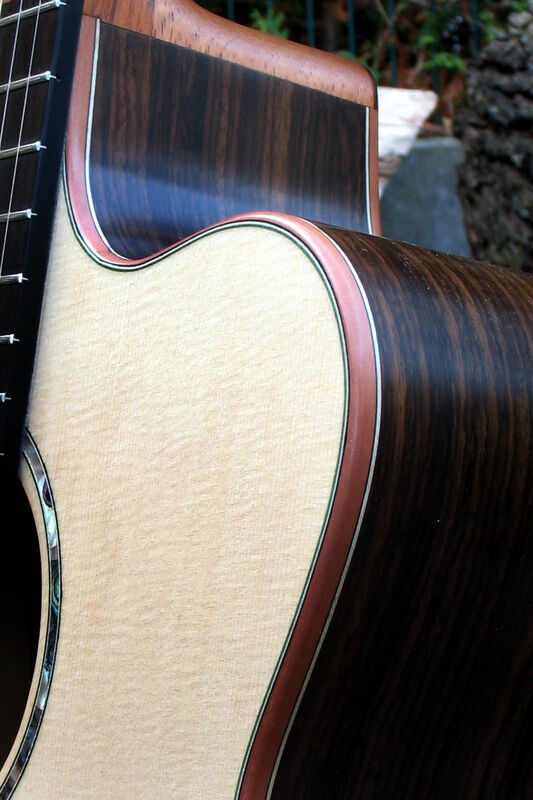 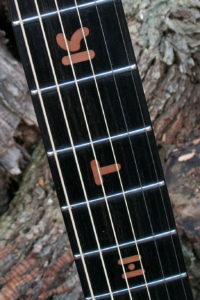 However, the most striking feature is the fretboard inlays, which were designed by us individually. They are, like the binding, made of pear and thus form a beautiful contrast to the dark woods of fretboard and sides.